The ASME Journal of Computing and Information Science in Engineering is currently accepting manuscripts for a special issue on machine learning applications in manufacturing. Authors who are interested in submitting a paper for the special issue, which is scheduled for publication in March 2020, should submit their papers electronically by July 1, 2019. Machine learning (ML) has recently become a power engine transforming various manufacturing research and applications. In the era of smart manufacturing and Industry 4.0, the abundance of smart sensors and industrial internet of things has made manufacturing systems a data-rich environment. ML techniques play a significant role in uncovering fine-grained complex production patterns and offering timely decision support in a wide range of applications including robotics and human-machine interaction, predictive maintenance, process optimization, task scheduling, quality improvement and security. While different ML techniques have been researched and deployed in manufacturing, many open challenges and questions still remain, from data understanding, data and knowledge representation, and data reasoning in ML to advanced topics such as predictive analytics, edge computing and cybersecurity. This special Issue aims to harvest the latest efforts in theoretical as well as experimental aspects of ML and their applications in manufacturing. 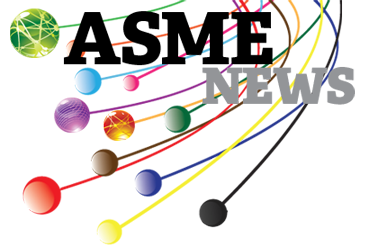 Potential topics for papers include ML-based theoretical approaches for manufacturing, including ML for robotics and human-machine interaction, ML for predictive maintenance, quality control and process optimization, ML for tasks scheduling and supply chain management, and ML for sustainable manufacturing; ML-based experimental case studies for smart manufacturing, including energy consumption modeling and optimization, advanced robotics (collaborative and adaptive robots), digital twin, leveraging ML for hybrid manufacturing (additive and subtractive manufacturing), and data acquisition for novel manufacturing processes; novel ML algorithm design for manufacturing including approaches to extract manufacturing knowledge using ML techniques, calibration and validation of ML-based patterns and models, and novel deep learning architecture for manufacturing domain problems; and creation and sharing of research data that supports ML applications in manufacturing. The editors for this special issue of the ASME Journal of Computing and Information Science in Engineering are Ying Liu, Cardiff University (U.K.), liuy81@cardiff.ac.uk; Bin He, Shanghai University (China), mehebin@shu.edu.cn; Mahesh Mani, Allegheny Science & Technology (U.S.), mmani@alleghenyst.com; Anurag Purwar, Stony Brook University (U.S.), anurag.purwar@stonybrook.edu; and Rahul Rai, University at Buffalo SUNY (U.S.), rahulrai@buffalo.edu. Papers should be submitted to the ASME Journal of Computing and Information Science in Engineering by July 1, 2019, through ASME Journals Connect. Authors who already have an account should log in as an author and select “Submit Paper” at the bottom of the page. Authors who don’t have an account should select “Create an Account” and follow the step-by-step instructions. Authors should then choose Journal of Computing and Information Science in Engineering when they reach the “Paper Submittal” page and select “Machine Learning Applications in Manufacturing” from the dropdown menu. Authors should also email the journal’s editor, Prof. Satyandra K. Gupta, at guptask@usc.edu, to alert him that their papers are intended for the special issue. Early submission is highly encouraged. Papers submitted by July 1, 2019, will be reviewed in time for inclusion in the special issue. Papers received after that date may still be considered for the special issue, time and space permitting. 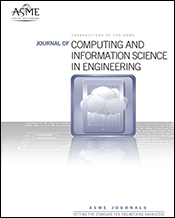 For more information on the ASME Journal of Computing and Information Science in Engineering, visit https://journaltool.asme.org/home/JournalDescriptions.cfm?JournalID=3&Journal=JCISE. To review the Information for Authors for the ASME Journal Program, visit www.asme.org/shop/journals/information-for-authors.